Stay tuned for our full reviews and photos of Bluesfest but here are some notes from Kerrie Hickin sent in just prior to the final day. Kerrie reports that in his media address, Bluesfest Director Peter Noble noted, when asked about the Kendrick Lamar booking, that, “In the end change is inevitable. We’re not going to stop challenging ourselves. If you don’t like something, well, there are plenty of other things to do. Jeff Martin – Joined on stage by drummer Mick Skelton (Baby Animals, Thirsty Merc) who appears to have made a remarkable and welcome recovery after a recent horrific car crash. Martin’s chiming open tuned guitar and sensuous baritone are really the draw here, and why he’s not outstayed his welcome. A couple of Tea Party songs such as ‘The Grand Bazaar’ were dropped in, and a reference or two to Led Zeppelin’s legacy for good measure. There’s the implication that Martin is, as his muse Jim Morrison was, in touch with the edge of the shadowy spirit world, and while that projection may occasionally teeter on the edge of pretentiousness, is it wrong to enjoy the dark mystery in music from time to time? 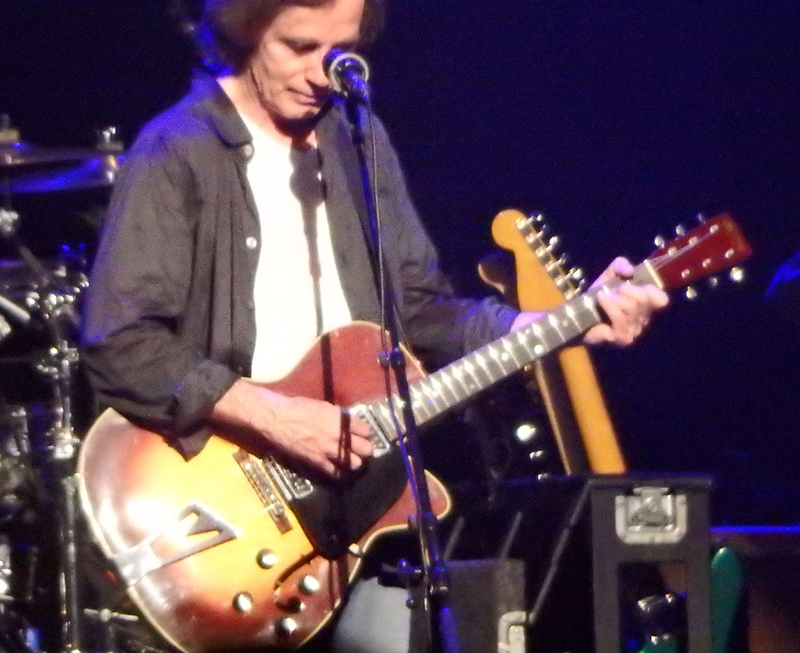 Jackson Browne – During Jackson Browne’ set it was like a temporal trapdoor opened and it’s the early 1970s again, with the likes of The Eagles, Doobie Brothers and Paul Simon ruling the earth. Browne’s melodious voice still has the consistency of warm Californian honey, and he’s not lost his wistful youthful edge despite all the intervening water under the bridge. ‘Running On Empty’ is still like a carefree drive down an open road, and The Pretender hints at a darker presence. ‘Take It Easy,’ a song he co-wrote with the late Glenn Frey, took on a particular poignancy. The Selecter – The post-punk era was an important time for a new breed of confident female fronted acts- Blondie, Siouxsie, The Pretenders, and Pauline Black from The Selector, showed a generation of girls that they could be strong, self-determined, and still have fun. The Selector’s signature tunes Too Much Pressure and the effervescent On My Radio still hold up well. Two bass saxophones fatten up the bottom end and the keyboards dance lightly on the top. Melissa Etheridge – A powerful presence on stage, her raw voice and strong playing lends her material a visceral and decadent urgency. UB40 – This lineup features original vocalist Ali Campbell who has been absent from the fractured franchise for a while. At some point in their career UB40 morphed from a ‘serious’ socially conscious act to being better known for their covers – admittedly what they do they do do well, and the people seem to love it. ‘Food For Thought’ and ‘One In Ten’ represent the earlier, more redoubtable era; ‘Kingston Town,’ ‘Cherry O Baby’ and ‘Red Red Wine’ the pick of their later choices. Noel Gallagher’s High Flying Birds – A bit of seamless anthemic Britpop from one of that era’s foremost rock alchemists. Closing the set with the stirring Oasis song ‘Don’t Look Back In Anger’ got the already hyped crowd transcendent, Gallagher receiving and acknowledging the adulation with his trademark lack of modesty, “I know, I know”. Previous ArticleBluesfest 2016 Wraps Up! Next Article Bluesfest – Kerrie’s Final Day Notes!